Dub Dynasty aka Alpha & Omega Meets Alpha Steppa's much anticipated second album. Dub Dynasty's 2013 debut 'Unrelenting Force' received widespread critical acclaim with support from media platforms such as Q Magazine, Mixmag, Wire, BBC and Rinse FM to name a few. 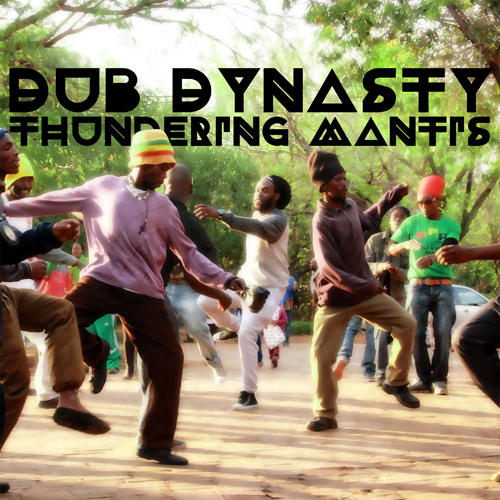 Dub Dynasty once again deliver an international line-up featuring vocalists and instrumentalists from around the globe; UK, USA, Zimbabwe, Jamaica, Italy, Ireland, Spain and Suriname. With diverse contributions ranging from the soulful vocals of Wellette Seyon, Cian Finn and Prince David, to the militant chants of N'goni and Ras Tinny, traversing the enchanting flute melodies of Don Fe to the spoken word teachings of internationally recognised spiritual guru Mooji. This album is a musical journey to be experienced both at home and at soundsystem sessions across the globe. With various mixes from the LP currently being spun exclusively by top soundsystems and DJ's, from high octane dub outfit Iration Steppas to leading dubstep delegate VIVEK. Beautifully mastered and pressed to two disc vinyl for maximum bass pressure featuring artwork contributions from South Africa's dance movement the University Of Steppas.